Individuals and businesses which purchase insurance are entitled to the financial and legal protection for which they have paid. Unfortunately, the pressure to increase corporate profits results in insurance companies having claims offices with limited resources and an in-house culture that encourages the bad faith denial of claims. Insurers often make conscious decisions to place the company’s profitability ahead of its obligation to protect the people and businesses it insures from personal financial exposure. An insured has a bad faith claim against its insurance company when the insurance company fails to pay claims which it owes or fails to provide the individuals and businesses it insures with the legal defense to which they are entitled under their insurance policy. When an insurance company acts in bad faith by failing to pay or defend against valid claims, claimants and insureds suffer and often have the right to file a lawsuit against the insurance company for bad faith. Individuals and businesses purchase insurance to protect themselves against a variety of financial risks and exposures. Automobile insurance is purchased to protect against the risk of claims and lawsuits by others (liability insurance) and to pay damages which the insured may suffer (medical payments, collision coverage, and uninsured motorist coverage). Individuals and their employers purchase long term and short term disability coverage to protect an individual in the event they become disabled and are unable to work. Homeowners insurance is purchased not only to protect against the risk of losing a home and its contents, but also to protect against the financial exposure of claims by persons who may be injured on your property or otherwise injured due to the insured’s negligence. Businesses purchase a variety of insurance products that afford protection from claims against the business, protection from losses due to the interruption of the business’ operations and protection against loss of business assets. The bad faith failure of an insurance company to meet its obligations under the insurance policy can have devastating consequences for the individual or the business. Inherent in every insurance contract between the insured and the insurer is an inferred obligation to act in good faith. Georgia courts have defined the relationship between insurance companies and their policyholders as “fiduciary.” The relationship does require that each engage in trust and good faith in upholding the obligations required under the contract. In general, bad faith on the part of insurance companies constitutes delaying, withholding, or denying the policyholder benefits that are based on legitimate claims filed under valid insurance policies. First, insurance companies are required to pay or deny the claim within a reasonable period of time. The person making the claim (the claimant) is entitled to a prompt response and answers to questions or concerns. The insurer may not unnecessarily delay the adjustment of the claim or require unreasonable paperwork or documentation as a mean of extending the claim period. If a claim is denied, the insurer must explain to the insured the reason for the denial and the policy provision supporting that denial. Finally, the insurer has an obligation to protect the insured by timely settling a valid claim rather than subjecting an insured to an excessive liability judgment. Under bad faith law, there are a number of other responsibilities that insurance companies must fulfill in accordance with good faith and fair dealings principles. However, the type of insurance contract involved determines the statutory bad faith law that applies. The insured must meet the exacting technical requirements of this code section in order to establish bad faith. The insured must clearly communicate a dollar specific proper demand. The insured must alert the insurer that bad faith is being asserted, and allow 60 days to pay the claim. A proper demand is essential and compliance with the statute’s demand requirements must be proven. Like the first party insurance statute, O.C.G.A. § 33-7-11, provides for similar penalties and attorneys’ fees upon proof that an insurance carrier has refused to pay an uninsured motorist (UM) claim in bad faith. The insured must make a demand for payment and allow the insurer to pay the demand within 60 days. Moreover, the demand requirements are statute specific and must be carried out in detail. Bad faith means a frivolous and unfounded denial of liability. Where there is any reasonable ground to deny the claim, there is no bad faith. Only the uninsured motorist insured is entitled to pursue bad faith sanctions. 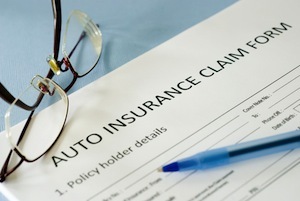 In a UM suit, the insurer steps in to defend or pay the claims caused by an uninsured driver. While the uninsured driver often derives the benefit of the UM insurance, he or she has no claim for bad faith if the coverage is denied or the UM carrier fails to pay the claim. However, unlike the first party insurance statute, the penalties under the UM statute are payment of the covered loss and not more than 25 percent of the UM claim recovery. The UM statute also provides for recovery of reasonable attorneys’ fees. Unlike the remedies for bad faith in first party and UM coverage cases, which are limited to percentage penalties and attorney fees, bad faith recoveries for mishandling liability insurance claims are much greater. In liability insurance, the insured buys protection from claims and lawsuits by others for the insured’s negligence. Where the insurer fails to pay or denies the claim in bad faith, then the insured suffers not just the covered loss, but also the threat of considerable financial exposure. For this reason, the recovery for bad faith in the liability context is broader. The courts have indicated that bad faith may be a dishonest purpose, implied conscious wrongdoing and even negligence to the extent it is a breach of a known duty. Where the insurer fails to settle the claim of an injured person on behalf of its insured due to its own negligence, fraud or bad faith, then the insurance company may be liable for damages to its insured. The jury must consider whether the insurer has given the insured the same faithful consideration it gives its own interests. The liability insurer has a duty to its insured to agree to a demand for settlement within the policy limits if the company has knowledge of clear liability and special damages exceeding the policy limits. The insurer must communicate with the plaintiff’s attorney during the settlement period and must inform the insured of an offer to settle within the policy limits. If the plaintiff’s attorney sets a deadline for responding to an offer to settle, the insurer must meet those deadlines or procure an agreed extension of the deadline. Even where liability is disputed, a breach of duty can lead to substantial excess exposure. The insurer may be liable for the judgment in excess of the policy limits, attorneys’ fees and even punitive damages. In 2001, the Georgia legislature passed a law allowing direct actions by claimants for bad faith failure to settle liability claims for damage to motor vehicles. O.C.G.A. § 33-4-7 requires liability insurers to settle automobile accident property damage claims quickly and fairly. Liability insurers must adjust the property loss claims fairly and promptly, make a reasonable effort to investigate and evaluate these claims, and where liability is reasonably clear make a good faith effort to settle. Where the insurer acts in bad faith or breaches these duties, the insurer may be liable to pay the claimant in addition to the loss, a penalty of up to 50 percent of the liability of the insured or $5,000, whichever is greater, plus all reasonable attorneys fees. The claimant must make a dollar specific demand on the insurer and give the insurer 60 days to pay the claims. If the claimant does not get paid, then the claimant must proceed to court and obtain a judgment. If the judgment is equal to or in excess of the claimant’s demand, then bad faith penalties are to be awarded. A breach by the insurer of its contractual duty to act in good faith is an independent actionable wrong. When an insurance company acts in bad faith, the policyholder who has suffered damages at the hands of his or her insurance company may seek relief through a lawsuit. However, depending on the type of insurance, some statutory bad faith remedies provide the exclusive remedy. Despite some restrictions on recovery, litigation in the bad faith area continues and is likely to increase. If you believe that you may have a bad faith claim against an insurance company, please click here to contact the law firm of Robert N. Katz for a free, private consultation.